So we are finally leaping into the future with Google’s automatic driver-less car. I’ve blogged about the potential of driver-less vehicles before, but this one is different. It has no steering wheel or pedals and more sensors. Imagine a day with no more news stories about fatal car crashes, never being annoyed at poor drivers, getting on with your life while commuting & having your car come and pick you up from the pub. The future is here!! Well I never knew two way cycle lanes existing in the UK until now. This article on The new Royal College Street cycle tracks describes the route in Camden Town, London and a bit of the history behind it. 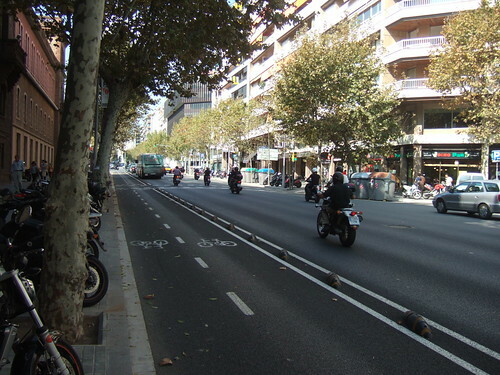 I think it is true to say that cyclists don’t like cars in the way and car drivers certainly don’t like cyclist cutting in front of them all the time, so come on councils, the future is dedicated cycle lanes! Well it has been 50 years since Dr. Beeching’s report which lead to the closing of several branch lines all over Britain. Some stations closed on existing lines could be re-opened but the lines will never be recovered because they have since been turned into roads or housing. I’ve thought to myself, what if instead of cutting services, they had improved them by electrification. Most of Europe is electrified now and has efficient trains crossing international boundaries where as Britain (excluding money pot London) is only just starting to electrify more than just the main routes. Here are Network Rail’s current electrification plans. The future is cycling! In Holland it is! How about a heated road that glows in the dark! The Dutch are on the case with special paint which glows at night. 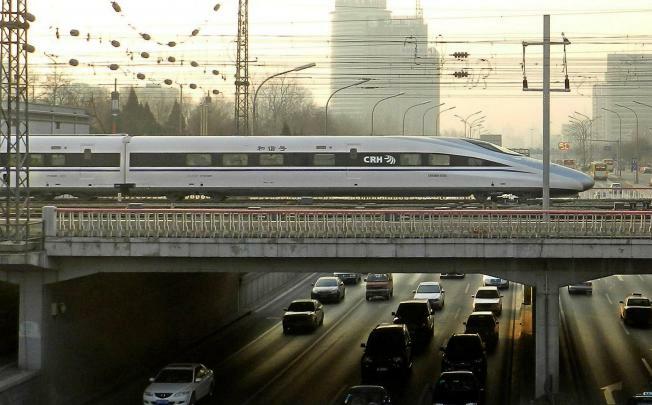 China yesterday opened a new 2000km long high speed train line connecting Beijing in the north with Guangzhou in the south. Not without it’s problems this line has already had a troubled beginning with a crash killing 40 and part of the line being washed away by a flood. Still it shows how progressive China is right now. Chinese bullet train. Pic: South China Morning Post. Here is the BBC’s report on the world’s longest rail line.